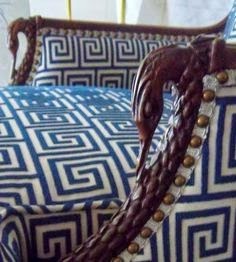 It wasn't long after I tackled re-upholstering my first sofa that I wanted to try and do some other furniture pieces. I just wasn't entirely sure how to get around the exposed wood bits. With some trial and error I figured it out. Most of the steps for re-upholstering are the same as those in my tutorial on "How to Re-Upholster a Sofa" so I won't repeat them here, just the bits that are different. STEP 1: Check and see if the wood sections detach. In many cases, I have found that often the wood sections will detach from the furniture frame. They are usually held in place with wood dowels and glue. Check the fabric to see how it is secured around the sections of exposed wood. If the fabric is secured around the wood with staples and piping the exposed wood is most likely permanently attached to the wood frame; however, if the fabric is secured to the frame underneath the exposed wood sections, those sections should come off. STEP 2: Remove the wood sections or piping. Use a lever (flat-head screw driver, butter-knife, whatever!) to gently pry off the wood sections. They will most likely be attached to the frame with wooden dowels that insert into holes drilled into the frame. They may be glued and be somewhat stiff at first. Start small and be careful not to damage the wood (you may need to wrap your lever in a piece of scrap fabric). Work to remove the wood section evenly a little bit at a time to avoid breakage (this is particularly important when working on a delicate antique). Find where the dowels are and exert more pressure there. In some cases, wood pieces may be attached to the frame with screws. Look for any screw holes (usually on the bottom) - and remove the screws with a screw driver. Carefully remove the fabric around the exposed wood. 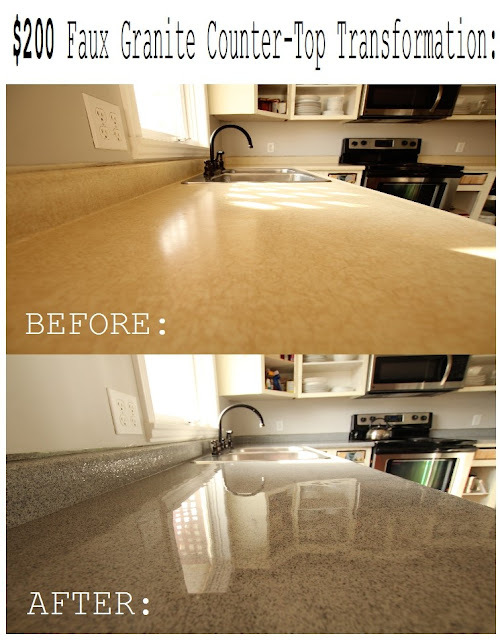 It is usually finished with furniture tacks or piping/double piping. This has to come off first. Try to keep it as intact as possible so you can use it as a pattern for your new fabric. Note how the fabric and piping/tacks are attached - you will want to re-attach your new fabric/piping/tacks in the same way. An example of a chair with the fabric finished around the edges of the wood with double piping. The piping is usually attached with staples that are hidden in-between the piping. Use a flat-head screwdriver or butter knife to gently pry it off. An example of a chair where the edges around the wood are finished off with furniture tacks. Use a flat-head screwdriver or butter knife to gently pry it off. 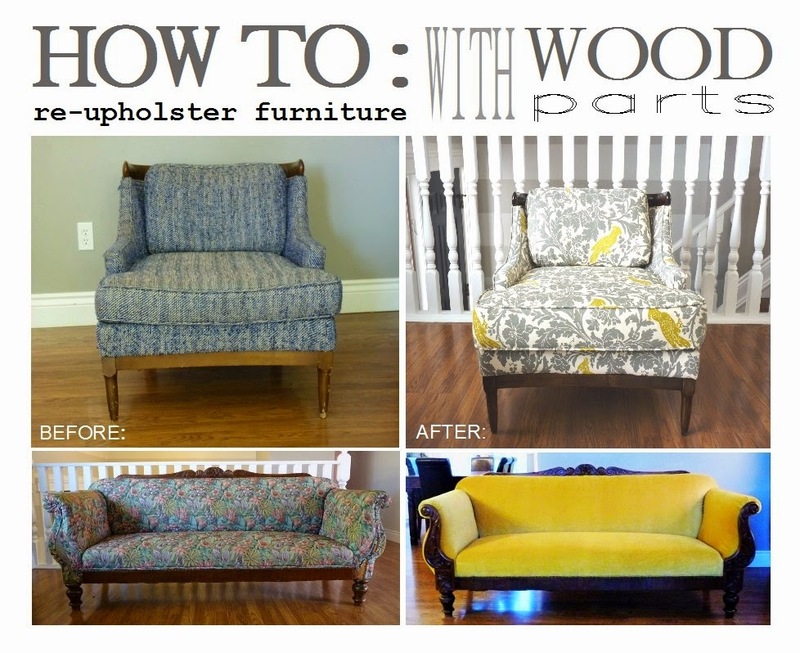 See my post: "Re-Upholstering Furniture Part 1: Refinishing Wood" for instructions. 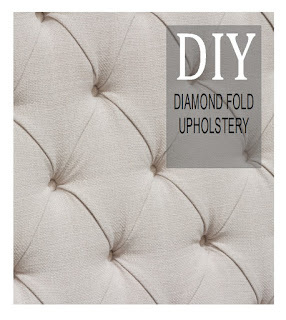 See my post: "How To Re-Upholster a Sofa" for instructions. A) To get the wood pieces to fit back on the frame you may need to scrape or sand off any old glue still attached to the wood pieces (particularly on the dowels). You will also want to re-drill the holes to make sure that they are clear, cut away any fabric, and look for any staples that may get in the way of the hole. Do a "dry-fit" first, to ensure that your wood piece will fit back on properly - if it doesn't, repeat step 5A and keep checking until the piece fits properly. Attach the fabric around the exposed wood pieces the same way the old fabric was attached. Often this is folded under, and pulled tightly around sections like these chair legs . . .
Drape the fabric around the wood section. Fold under and tuck in around the wood. Fold the fabric edge under and pull tightly. Pull the fabric tightly around to the back of the frame. Secure the fabric to the bottom of the frame with staples.
. . . or secured at the edge with staples and then finished (covered) with piping/double piping or furniture tacks. When using piping be sure to hide your staples in the crease of the piping so that they are not visible (you may need a hammer and nail-punch to ensure that they are inset deep enough so as to not be visible). When using double piping place your staples in-between the piping to hide them. When using furniture tacks - use a hammer to gently secure the tacks in place. Be careful not to accidentally damage the wood with your hammer. STEP 6: Love your "new" furniture! Love this! Is the couch reupholstered in a gold velvet? I looks great! Where did you find the fabric? Your upholstery tips have really helped me out! Thanks!! great work; can anyone give step by step instruction on reupholstering reclining sofa? Where are you located? Can someone hire you to reupholster or at least get your assistance?